Set in Michigan’s Upper Peninsula, this classic courtroom drama features a winning cast of small town characters. Jimmy Stewart plays Paul, the ex-District Attorney who would much rather be fishing or playing jazz piano than practicing law. He is perfectly content with getting by on the odd legal job, but his perpetually tipsy (yet surprisingly astute) sidekick, Parnell, has other ideas. 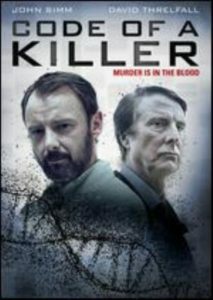 At Parnell’s urging, Paul takes on a local murder case that brings them both out of their semi-retirement. Other engaging characters abound, including a visiting judge, Paul’s secretary, and of course, the defendant and his wife. 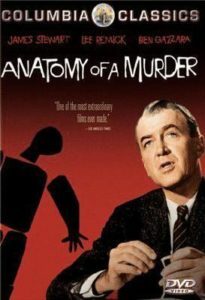 These characters along with a well-placed plot, the almost light-and-breezy tone—despite its dark subject matter—and the hip music of Duke Ellington make Anatomy of a Murder just plain fun. Check out our list of Lawyers in the Movies for other films. Once again, Tom Cruise is great in this fast-paced action adventure movie where he has to save the world. 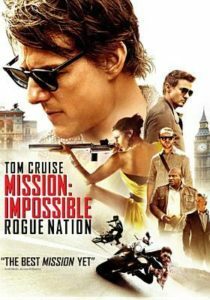 What is different in Mission: Impossible – Rogue Nation is the high suspense situations: Tom and his crew find themselves in trying to save lives and make the world safe again. What happens when you plot to murder your wife? 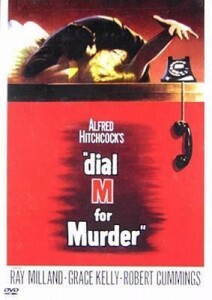 Watch Alfred Hitchcock’s melodramatic and suspenseful classic Dial M for Murder, starring Ray Milland, Grace Kelly, and Robert Cummings, to find out. Before the story starts, Margot Mary Wendice has a brief affair with mystery writer Mark Halliday while her tennis player husband, Tony, is away. A love letter was stolen, and she is being blackmailed. Mark comes to visit the couple, and Tony sets a diabolic plan in motion. This movie was based on a play and filmed in 3D, a method prominently used in the 50s. 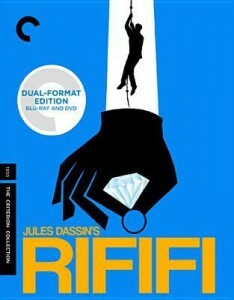 The remastered and released in 3D version (2012) can be requested through SWAN. For other Alfred Hitchcock films, see The Genius of Alfred Hitchcock: His Movies & TV Shows. This film has an eerie feel to it from start to finish, and when you finally figure out what’s happening, you will be blown away. 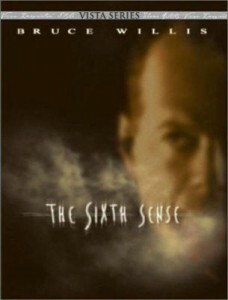 Written and directed by M. Night Shyamalan, The Sixth Sense follows child psychologist Dr. Malcolm Crowe (Bruce Willis) as he tries to redeem himself after his last patient committed suicide. He is now trying to help young Cole Sear (Haley Joel Osment), who has an ominous secret. Cole’s mom is beside herself with worry over Cole, whose numerous phobias make life frightening and unbearable. Can Dr. Crowe figure out the secret? Also titled Reign of Terror, The Black Book is a suspense film that is as film noir as you can possibly get. Yet instead of being set in a large American city during the 1930s, 40s, or 50s, it is set in 1794 Paris during the reign of terror. Charles D’Aubigny (Robert Cummings), is a French patriot looking to overthrow Maximilian Robespierre (Richard Basehart). Robespierre is planning to become dictator of France, so that he can more easily continue his reign of terror wherein he sends anyone opposed to him to the guillotine without trial or hearing. One of D’Aubigny’s coconspirators is Madelon (Arlene Dahl). D’Aubigny and Madelon have a past and D’Aubigny is bitter about it; neither is sure they can trust the other. In fact, almost none of the characters in this film trust each other and with good reason. And the man most in the middle the man who no one should trust and who trusts no one is Fouche (Arnold Moss), the chief of police. He would like to destroy Robespierre but he will happily kill a friend or foe of Robespierre if it will advance his career. Moss does a great job with this character. This film is nonstop suspense. About the only criticism I could make is this is a film badly in need of restoration. The current DVD was supposedly restored but it’s far from what I usually experience in a restored film; I have seen worse copies of this film so it is an improvement, but even in its not-so-restored state, it is wonderful film. What would you do if your daughter was kidnapped? This is the question one father had to ask himself when his daughter and her friend are kidnapped by a serial killer. 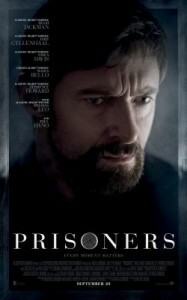 The movie makes you wonder how far you would go if you knew the kidnapper and took him prisoner. At the end of Prisoners, there is a twist. The ones you think are guilty may not be the only ones. Suspense, adventure, humorous charm, and romance are blended in Young and Innocent, an early English Alfred Hitchcock directed gem. When an innocent man who is a suspected murderer escapes from the courthouse, he finds help from an unlikely quarter–the police chief’s daughter! To escape the police and find the real murderer, they race along in her temperamental jalopy, hide out in a dilapidated barn, crash a children’s party, and hunt for a switched raincoat. Great fun. This exciting vehicle for Robert Redford and Faye Dunaway has him as a CIA researcher on the run after narrowly escaping a horrific event and her as his unwilling accomplice. What can he do and whom should he trust? He finds no easy answers in this taut, well-executed thriller. 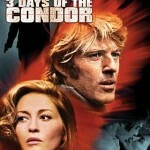 3 Days of the Condor is based on the James Grady novel Six Days of the Condor.